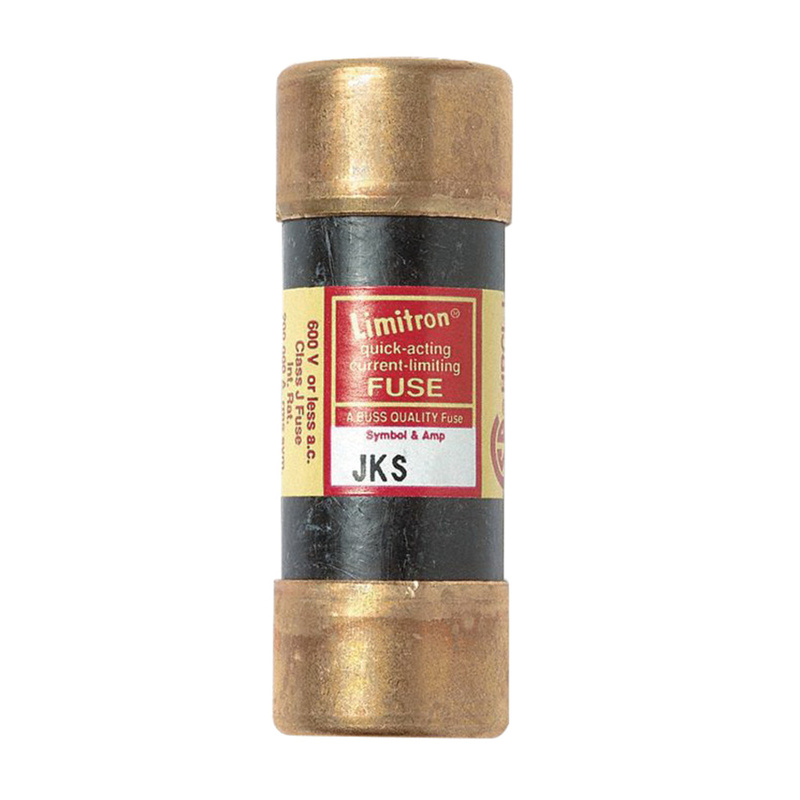 Bussmann JKS Series Non-rejection fast acting fuse is rated at 600-Volt AC and 50-Amps. Interrupt rating of this fuse is 200-Kilo-Amps at 600-Volt AC. The class J single element fuse of dimension 1-1/16-Inch Dia x 2-3/8-Inch, has cylindrical melamine body. Current-limiting fuse supports holder mounting. It is suitable for power panelboards, machinery disconnects applications and critical industrial or commercial applications. Fuse is UL listed, CSA certified and CE marked.